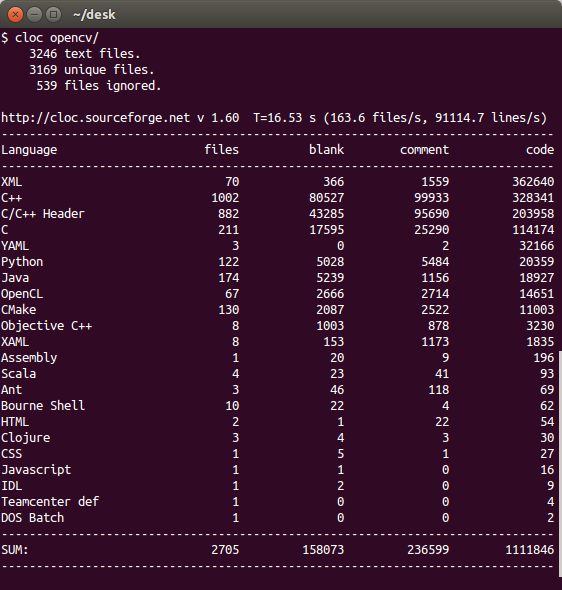 Count Lines of Code (CLOC) is a useful utility to keep at hand when working with code. It is straightforward to use and count the LOC of a project. It supports almost all types of programming languages and you will get a splitup of each language and a total sum of LOC and comments in the summary. Nice tool, it is really helpful…!